I really had no idea what the eyepiece was for when I made this, but it works. I just thought of good idea for her. What if she... Is the ball? is a dark hunter? I could see that. 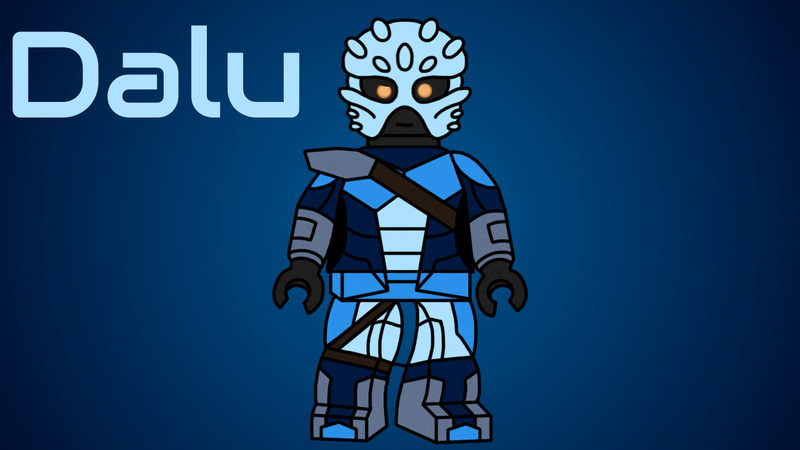 Is this a MOC or an actual character from Bionicle? I think the only characters in G1 to use a Calix were Jala inika and snoop dawgg Toa Varian. So yeah its a MOC. @Noupix How do you make and keep a drawing template like what you use? 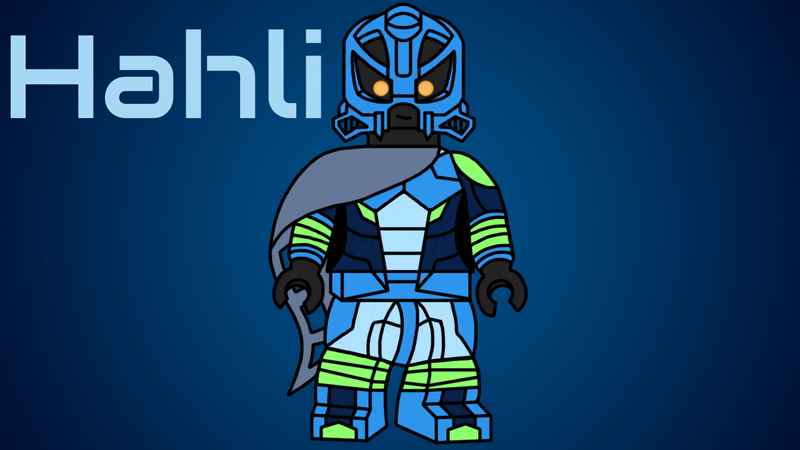 What are your thoughts on the third version of Hahli? She always felt like a faxon person to me. How do you make and keep a drawing template like what you use? 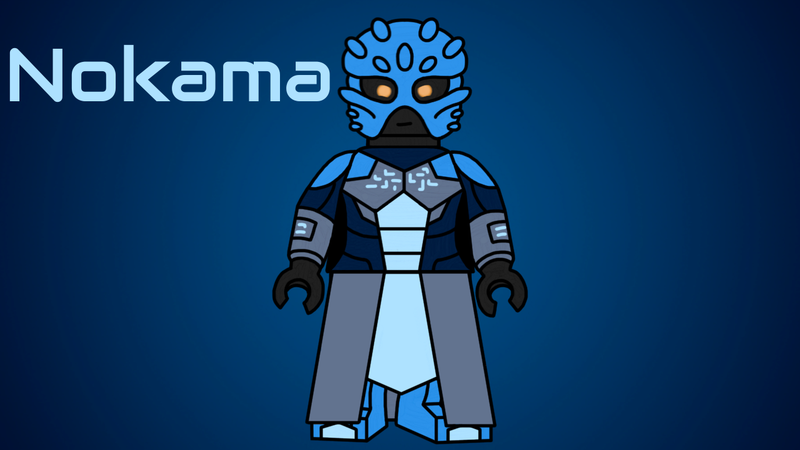 Also, do HF matoran count as matoran ideas or mocs? Since the Hero Factory guys already exist, they'd probably count as Matoran and not MOCs (even though they're not from Bionicle). Glad that you like hahli. This version is my favorite of the three. Oohh I just realized a good mask for Ahkmou. Dalu- 2nd version is finished. She needed a fix since she is a lower rank than Helryx. Please tell me which version do you preffer. It would be cool to see Hero Factory Matorans in Brickonicle. Great. 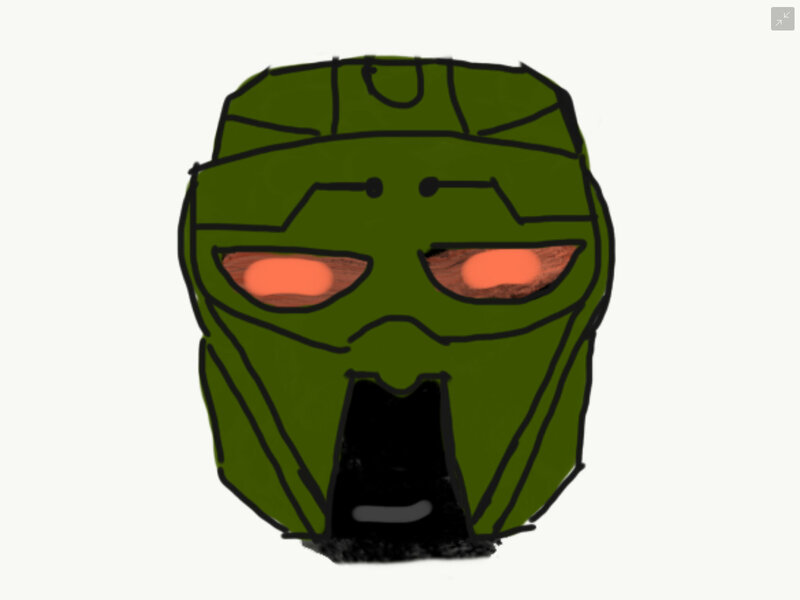 The noble is the worst looking mask in all bionicle in my opinion. It looks pretty bad IMO, its too tall. Maybe extend the mouth opening to under the goggles as the oval looks like a nose right now. Other than that I think it looks alright. I presume you mean make the ending if the opening higher? I could also just get rid of the oval. Yes, all the way to under the "goggles".